New in the Little People, Big Dreams series, discover the life of Stephen Hawking, the genius physicist and author, in this true story of his life. As a child, Stephen used to look up at the stars and wonder what else was out there. 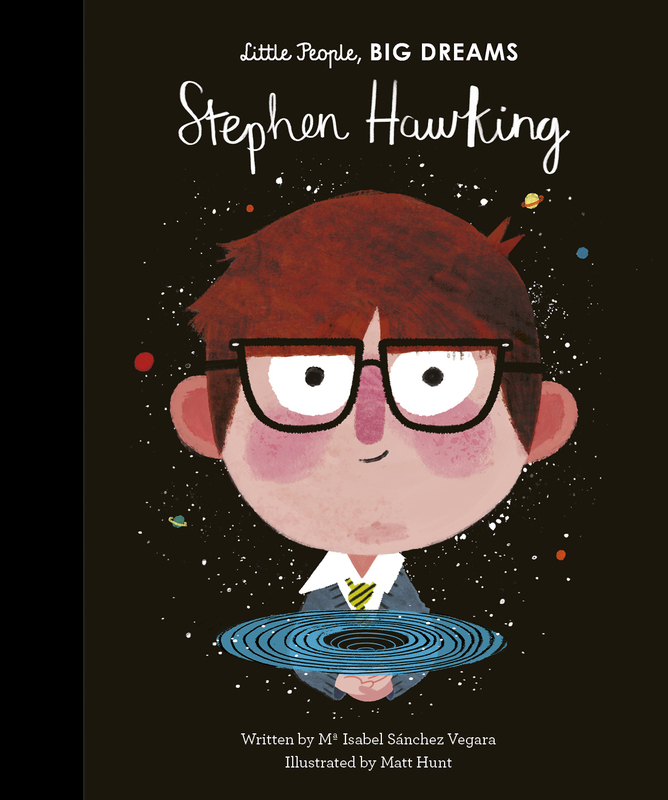 After gaining his education at Oxford University, Stephen went on to make a groundbreaking discovery to do with black holes: Hawking radiation. Although his health was declining due to MS, Stephen was more determined than ever to study and share his findings with the world. With his trademark voice and wit, Stephen brought science to everyone and became loved around the world. Featuring innovative illustrations and extra facts at the back, this empowering series celebrates the important life stories of wonderful people of the world. Matt Hunt is a freelance illustrator living and working in Worcestershire, UK. He works in the world of children's illustration and loves to draw pretty much anything. His clients include Penguin Random House and Walker Books.